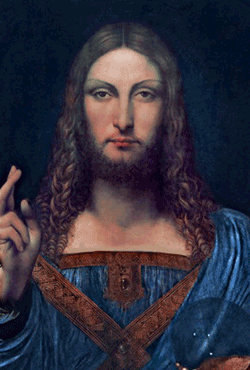 Salvator Mundi, one of under 20 paintings created by Leonardo da Vinci, was purchased for $10,000 in 2005 at an auction in New Orleans. The painting's unclear provenance and heavy overpainting hid its true value. After restoration, it sold for $75 million in 2013, and for $450 million at Christie's in 2017. As the 500th anniversary of Leonardo da Vinci's death approaches, join us to hear da Vinci expert Martin Kemp delve into the enduring fascination aroused by da Vinci's artistic achievements and personality. Kemp, whose recent book, Living with Leonardo, recounts his lifelong passion for the genius who has helped define our culture, will focus this lecture around Salvator Mundi (which he is currently co-writing a book about). Kemp will tell of its discovery, elucidate the issues surrounding its attribution, look at the scientific analyses that support experts’ interpretations and examine the role of connoisseurship.